If we don’t use our muscles, they will wither in atrophy and if we don’t use our brain, our brain will shrink. If the brain is not used, different brain areas will slow down leading to a faster decline in cognitive abilities such as multitasking, learning, memory or movement. A study from Harvard University concluded that lack of brain activity between different areas of the brain means faster aging. However, what if I told you that is possible to be faster mentally or in better physical shape now than you were 5 or 10 years ago? For the last 10 years, we have being seeing a brilliant phenomena called brain plasticity. Brain plasticity is the brain’s capacity to rewire or regenerate itself, and the key is stimulation. Anytime you stimulate the brain, you are strengthening existing connections and creating new powerful networks. In other words, you are strengthening your brain like a muscle. According to Dr John Ratey Professor of Psychiatry at Harvard University, exercise is the ultimate way to improve brain plasticity. Nice! But plasticity doesn’t only affect our brains- but affects our muscles as well. Muscle fiber plasticity refers to the capacity of our muscles to change shape, form and structure and there is no age limit, you just need to be consistent with a resistance training program. Cardiovascular activity not only helps us to be physically fit and prevent cardiovascular disease, but it also promotes neuronal growth and helps us get smarter. Kinesiology Professor Charles Hillman from Illinois University found that when you exercise your heart, you also improve your BDNF levels, a protein the enhances neuronal growth improving our cognitive abilities. Exercise 2: From a standing position, start clapping your hands and tapping your feet for twenty seconds. 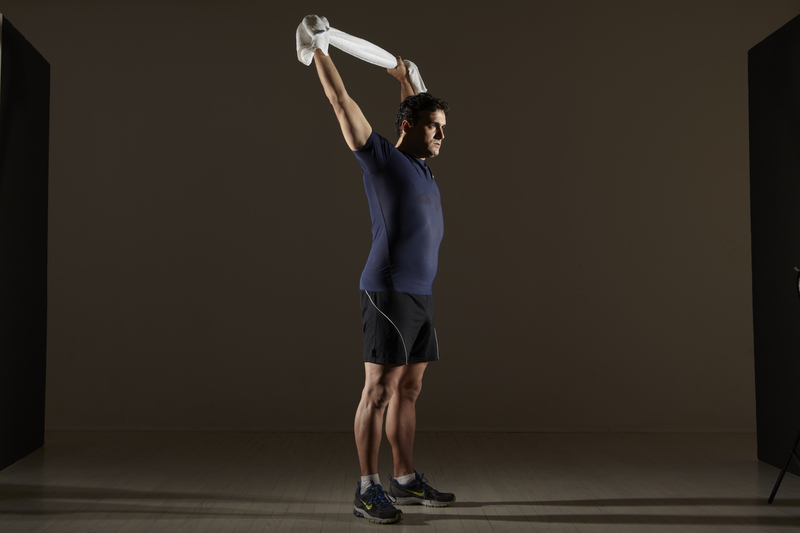 Then, pick up some light hand weights and alternate raising your opposite arm and leg for 2 minutes. Muscles don’t move by themselves; they need specific sections of the brain to help them move. Motor circuits are the networks of nerve cell connections that enable us to perform the full range of our daily movements. Challenge your brain with movement. If you move two muscle groups at once you need to think about it right? You will also be using more brain areas. Exercise 3: From a standing position, raise one leg up and toss an object into the air, like a tennis ball or a sponge. Catch it ten times then change legs. Agility and balance are two of the most important daily activities to enhance our brain muscle connection. When we age, we see how we are not as agile or balanced as before. Use it or lose it. Challenge that beautiful brain of yours and get ready to feel like never before. Life is about choices and this tips should be on top of your list. ← SUPER BODY SUPER BRAIN IN BARCELONA, SPAIN! BRAIN FITNESS SEMINAR WITH A MEMORY EXPERT!